What is Gender Responsive and Trauma- Informed Care in Nursing Practice? Gender responsive and trauma-informed care are two terms that arise from a growing understanding that women experience the environment and interact in ways that are unique to their gender. 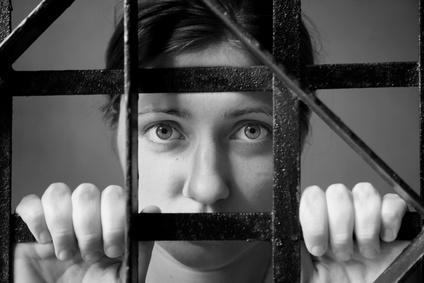 Numerous studies show that the pathways women travel toward incarceration are different as well (Covington & Bloom, 2006). Women who are incarcerated have higher incidence than their male counterparts of chronic medical and mental health diseases co-occurring with substance use disorders and infectious diseases (Guthrie, 2011; Schoenly 2013). The majority of incarcerated women report a history of repeated trauma and victimization that is directly related to their criminal behavior. Consequences of repeated traumatization include anxiety disorders, suicidality, self-injurious behavior and addiction (Harner & Burgess, 2011). It can be very challenging to address the complex symptoms and behaviors that women portray during incarceration. Each of the concepts described below provide rationale and guidance for nurses to effectively address the health care needs of incarcerated women. maintaining the boundaries of the nurse patient relationship. support the patient’s decision to seek counseling or mental health assistance. support the patient’s efforts to make positive change. develop re-entry plans and identify resources to continue health care upon return to the community. How do you describe the unique aspects of providing nursing care to women in the correctional setting? Do you have experience with gender responsive and trauma-informed care that you would like to share? If so please tell us about it by writing in the comments section of this post. Covington, S.S., & Bloom, B.E. (2006). Gender responsive treatment and services in correctional settings. Women and Therapy. 29 (3/4): 9-33. Guthrie, B. J. (2011). Toward a gender-responsive restorative correctional health care model. Journal of Obstetric, Gynecologic and Neonatal Nurses. 40: 497-505. Harner, H., Burgess, A.W. (2011). Using a trauma-informed framework to care for incarcerated women. Journal of Obstetric, Gynecologic and Neonatal Nurses. 40: 469-476. Schoenly, L. (2013) Women’s Health Care. In Schoenly, L. & Knox, C. Essentials of Correctional Nursing. New York: Springer. This entry was posted in Women's Health and tagged Catherine Knox, correctional nursing, Essentials of Correctional Nursing, Gender responsive care, jail nurse, prison nurse, Trauma informed care. Bookmark the permalink. ← Drug Diversion or Bad Habits?